Impossible Foods name to fame has been the successful creation of “plant blood”. This liquid makes a meatfree burger not only looking like raw ground beef, but also bleeds on the grill similarly as the all-time American iconic burger. 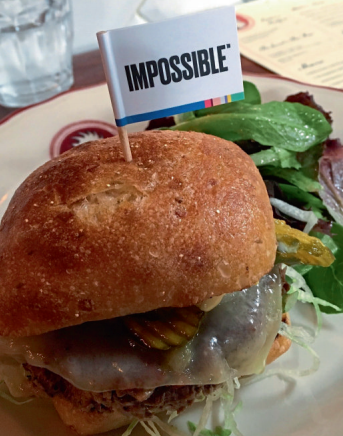 A growing number of select US restaurants now serve these plant meat foods that originate from world’s technology hub Silicon Valley in California.